She won by two strokes from Tara Mactaggart (Minto), 69-71, who was a shot behind the winner after 18 holes and still one off the pace at the finish. Free, who has recently completed her freshman year the University of Minnesota, had a bogey-free first round highlighted by birdies at the sixth, 13th, 14th, 15th and 17th. Feature of her second round was an eagle 3 at the 14th. Mactaggart, who had six birdies and two bogeys in her first round, also had an eagle 3, at the sixth, in her second circuit but she also bogeyed the 17th and that was the shot that separated the first two at the finish. Former Scottish women's champion Gabrielle Macdonald (Craigielaw) finish third on 144 with a pair of 72s. Last year's winner, Eilidh Briggs (Kilmacolm) finished joint fifth on 146 with a pair of 73s. On the same total was Chloe Goadby (St Regulus Ladies) with rounds of 74 and 72. 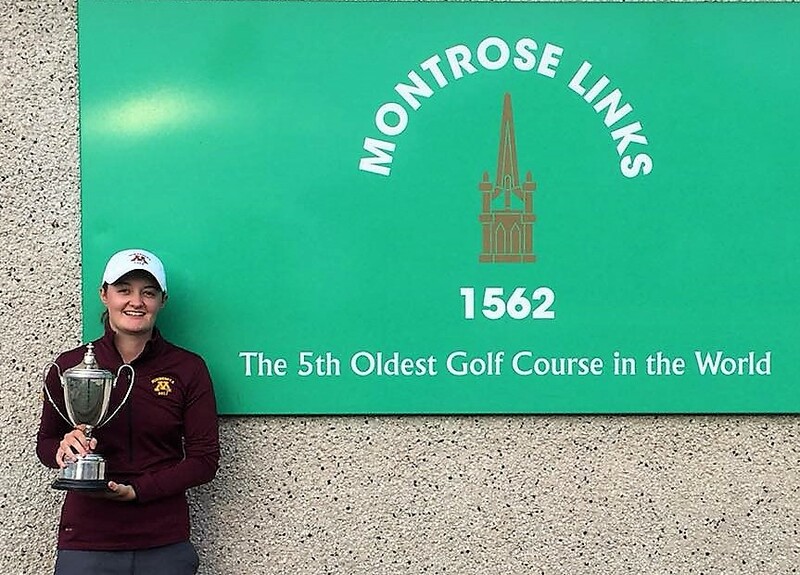 Hannah McCook (Grantown on Spey), recent winner of the Welsh and the Irish women's open amateur stroke-play titles, was well short of that form, returning scores of 79 and 77 for a 10-over-par total of 156. She had a triple bogey 7 in the first round and a quadruple bogey 8 as well as a double bogey 6 on her second circuit. par 146 (2x73) SSS 73 CSS 73 74139 J Free (Gullane) 68 71. 158 E Henderson (Loretto School) 78 80, M Robb (Peterculter) 79 79, L McClymont (Milngavie) 78 80. 165 A McKay (Crail GS) 84 81, K K Brown (Strathaven) 89 76.